Have you ever wondered about all the places you can go with the Oar Board®? Imagine bringing your very own adventure for rowing or paddling all in two bags anywhere you go! I’m Diana Lesieur and I’d love to share with you everything I’ve done with my Oar Board® over the last year! And see my video below! If you think of traditional rowing you would likely picture big boats and needing a way to launch, move them and then, of course, there is the hassle of storage and maintenance. The Oar Board® has changed all of that into the easiest and most simple set up! 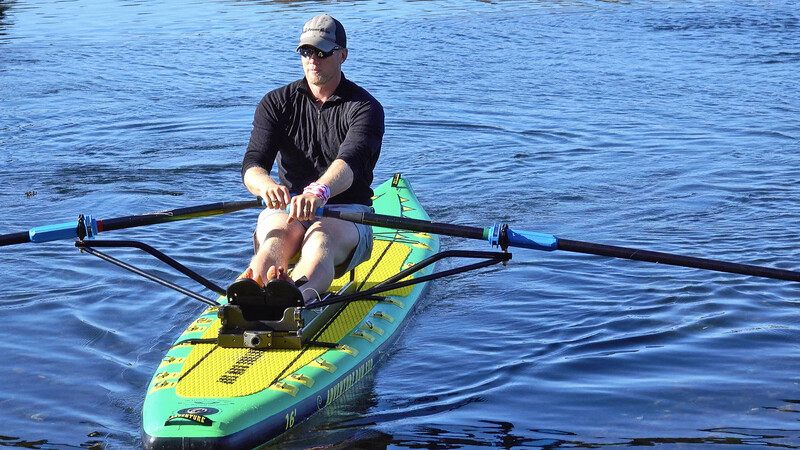 I have been able to combine two of my favourite activities – rowing and travelling; while also promoting the Oar Board® for work. Traveling for work is not always filled with fun, excitement and beautiful weather… but for me, it has been! Most of the shows we travel to include Demo Days out on the water to instruct new rowers. The shows we attend are always a great time and such fun meeting new people. Flying with all our show gear in Travel Bags is a breeze. I travel throughout Canada and the US regularly. This past summer I enjoyed a few sailing trips bringing along a Double 16’ Adventure Oar Board®. And on a friend’s smaller sailboat, I brought my 13’4” Adventure Oar Board® Stand Up Paddle Board and Rower combination set up. People always ask what’s in the bags as I travel by public ferry or through airports. It’s always rewarding to see the surprise and excitement when I show off the Oar Board®. Heading out by sailboat to remote locations and rowing where a limited number of people have access to, is a feeling that’s hard to put into words! I launched the Oar Board® alongside of Valdes Island; the sandstone cliffs filled with natural carving and caves were a sight for sure! The scenery, the wildlife, and me – alone on my board! Working with Ruth Marr from Rowing the World on a tour group rowing the Oar Board® through Belize was another amazing experience. Leading a group from several countries on Oar Boards – “rowing where no one has rowed before”! We truly did put the Oar Board to a test. 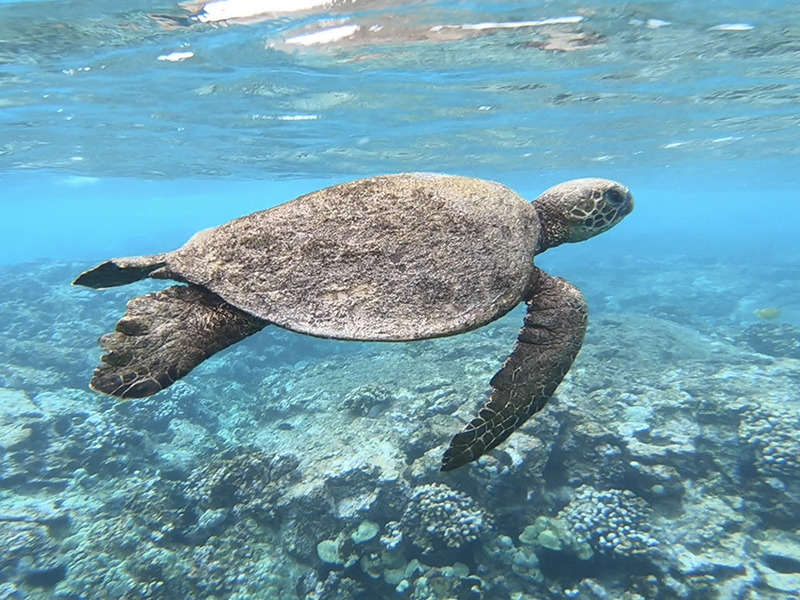 Rowing above tropical sea life over the Great Barrier Reef was a thrilling adventure. Then there was the trip to Lake Como in Italy to meet a new rowing/sup instructor. Michael Gondola now a great friend and an Ambassador for the Oar Board®. Getting my own personal tour of Bellagio by water was an experience you wouldn’t believe! Michael Gondola, friend and Oar Board® Ambassador, Bellagio, Lake Como, Italy. The most recent and remote experience I’ve done was rowing to Keeha Bay. This is a very secluded campground only accessed by the odd paddler or those who have ventured out on the long drive, then followed by a three hour hike. 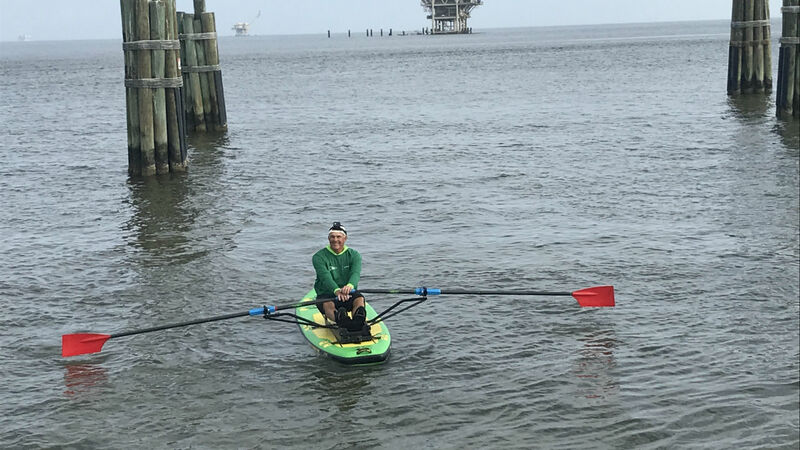 Sarah Thornber and I rowed the 16’ Adventure Stand Up Paddle Board (SUP), we were able to bring all our own camping gear, fishing rods and even a crab trap! Having the freedom to row or paddle along-side what felt like your own private beach and gather mussels and fish was truly incredible. I would love to hear all about your adventures on the Oar Board® also! Please call, email or share on Facebook anytime.